New York, NY, February 26, 2019 --(PR.com)-- Healthy Humor (HH), the nonprofit arts organization whose professional performers create moments of joy, wonder, laughter and comfort for hospitalized children and all others who are most in need, is once again partnering with Moose Toys, the Australian-based toy company, to expand its Red Nose Docs program, this time to Loma Linda University Children's Hospital in Southern California. Loma Linda was the first hospital to perform a successful neonatal heart transplant, a procedure that has now been performed more than 2,000 times around the world. It was also the first hospital -- and remains one the few in the world – to offer proton radiation treatment on site to its oncology patients. The program will operate two days a week at Loma Linda starting this spring, joining 14 other pediatric hospitals already in the HH family. 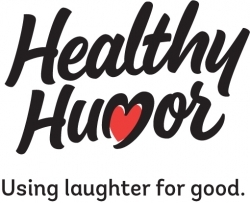 Click here to view the list of recent Press Releases from Healthy Humor, Inc.